I recently downloaded your Simple Rules book (great stuff!). I’m wondering if you could clarify something in it for me. You mention Palladio’s rules for room proportions. My question is: do you consciously try to use these (or other proportions) in your work? Are there occasions where this isn’t practical or warranted? Also, do construction requirements (manufactured material sizes, etc.) frequently get in the way of creating these proportions? Hey, thanks for reading Simple Rules, and I appreciate even more that you are asking some very important questions. First, as I did my research for this book I did become much more aware of trying to incorporate things like room proportions in my own work. However, as you are asking, there are many instances where it is not particularly applicable, or is counterproductive to other key design determinants. For example, in addition projects where other proportions already exist it may be preferable to coordinate new work to fit with what is existing, rather than enforcing an outside proportioning system. In other instances, site and programatic constraints may be such that it is impractical to try to adjust plans to fit with ideal proportions. 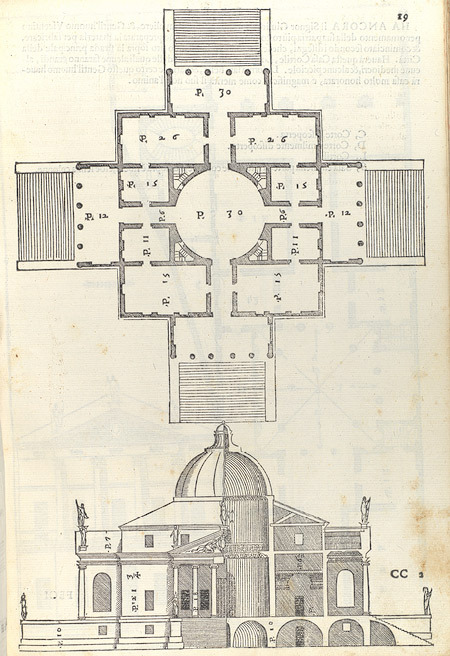 Palladio’s projects were almost all new construction on open sites in the countryside, and therefore the constraints he put on his own work helped to make what could be arbitrary relationships more orderly and harmonious. As with all of the rules applied by the great architects and builders of the past, there are exceptions and variations. They are really better thought of as rule-of-thumb concepts, or something to measure arbitrary decisions against. Lastly, yes, manufacturing and construction methods do affect some of these rules, making them impractical. On the other hand, the standard 4x8 plywood dimension divides nicely into 1:2, 1:3 proportions which allowed builders to choose 12”, 16”, or 24” spacing of 2x4 or 2x6 studs (again 1:2 and 1:3 ratio), so in many cases it is possible to dimension things according to traditional proportions and still work within standard construction methods. More recent standardized systems (window dimensions…) often do not work so well. I think other readers probably have similar questions, and this could be helpful. Second, if you are willing to write a quick review on Amazon, literally two sentences is fine, it would be really helpful! Reviews help with the algorithms that bring the book up more often for readers like yourself to find.